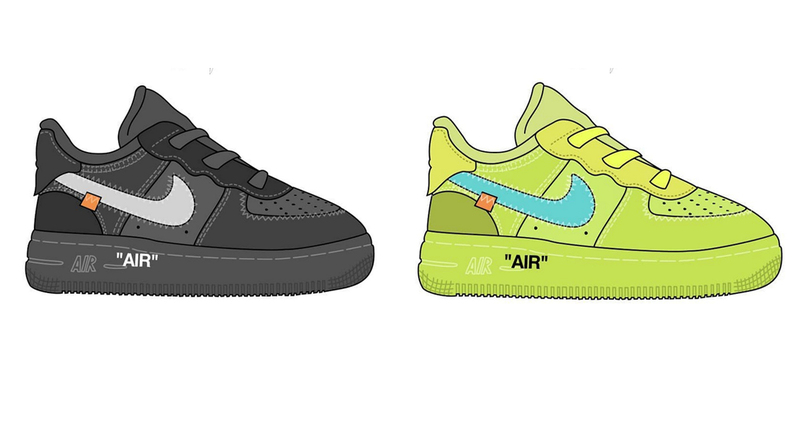 Virgil Abloh will be releasing a toddlers version of the Nike Air Force 1 later this year. The baby sneakers will be available in Volt and Black, with the additional red tags and text and complete deconstructed look. Orange tabs are also added onto the swoosh, for the official Off White look. These are set to release November 2018 but stay tuned with Modern Notoriety for a release date here.